I shared something that I thought was marvelous with a friend this week. It was a concept I saw clearly for the first time but only after intense and prolonged introspection and careful study. Guess what? They already knew it. I wrestle with thoughts fiercely. Even the most simple understandings I flip over and over in my head, examine, question and verify. Often this takes much time, extensive reading and deep thought. I am the quintessential theologian, I ask why and how about everything and I tend to keep asking those things long after others are satisfied. This is why it can be maddening to me to share an insight I’ve had. After passionately explaining what I see and how I came to that conclusion, I look into the eyes of my hearer and realize that they already knew what to me, is brand new. I get an enthusiastic nod, and hear, “yes, I totally agree” and then no more comment. If I wait long enough, they will yawn. And I am left speechless. Am I a dolt? Am I just that much slower than the rest in dissecting and analyzing my beliefs? It has happened enough that I expect this to be a possible response when I share anything with another. So, of course I had to think about this. How can others already understand so quickly what I have to spend years studying, though they are not given to that type of study? After dismissing the idea that they are faking understanding (these are godly, honest people I trust) I’m left with the reality that they probably DO understand what has taken me months and months to come by. How can that be? Of course, they may have wrestled with the thoughts before me, but I don’t think that is the case in many of these situations. So what’s up? 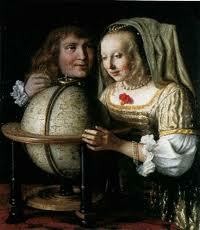 Do you believe the world in round? So do I and I’ve probably spent as much time thinking about it as you, which is pretty close to not at all. Despite not thinking about it, I get it, we’re not living on a pancake but a hacky sack. Yet there are those who have spent close to a whole career studying the round nature of the earth and how that relates to everything else in our solar system. They get it, but on a much deeper level, not in a superior sense, we both get the world is round, but their understanding is richer. One can know a thing on many levels- the deepness isn’t the essential part, knowing is. Understanding “God is love” is a wonderful insight. You may come to that idea easily where another must first deal with the problem of evil, difficult passages, previous paradigms, the concept of feelings and what it means to exist. If you are as messed up as me you will probably first have to analyze what love is first before you can even begin to entertain the idea of God being loving. Then you have to separate loving acts from the embodiment of love and on and on it goes. After years of deliberation, the deep mind comes to the same conclusion as the one steadied on simple faith: “God is love”. Though the thinker probably had already accepted that in faith, they have examined it so minutely that when they come to the conclusion it seems to be a brand new understanding. So is thinking deeply a waste of time or worse, some form of vanity? While it certainly can be a type of vanity and lead to fat-headed pride, the humble heart is simply intrigued and wants to understand because they are insatiably curious. They have a drive to comprehend. It is the artist in them. Going deeper into a simple idea often reveals connections, patterns, textures and richness to the ideal that is difficult to express unless one has meditated upon it. It reveals the story behind the title. It is not a waste of time. It is a blessing. And so, if you are bent like me, I encourage you, thinking deeply can be a blessing, even if most everyone else thinks you’re a bit daft for marveling at the qualities of a sphere. I have nominated you – bless you, your family and your writing in Jesus Name! Kris I nominated you too but I didn’t realize I had to let you know here. 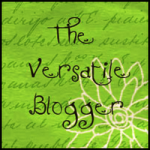 Here goes: http://adelineohvelarde.wordpress.com/2013/04/15/the-versatile-blogger-award/ Congratulations! My friends, (how quickly I feel this way of you! ), I’m not sure what to say, or do… the two of you have blind-sided me. I am humbled, honored and confused all at the same time, grateful, as always, for your hearts but unsure of what this is or means (I am so desperately slow at times!). Please accept my thanks for thinking of me, it means very much to me, and give me much patience as I figure out what is best to do with this honor. Certainly the two of you are worthy of such a nomination, but I am not so sure it belongs to me. God’s deepest blessings to both of you! Your writing id filled with fire Kris! Bless you! Being a complicated person, a deep thinker–I hear you. God bless you.